This post contains spoilers, read at your own risk! I might be - no, I probably am - doomed. But if I’m it, the last of my kind, the last page of human history, like hell I’m going to let the story end this way. I may be the last one, but I am the one still standing. I am the one turning to face the faceless hunter in the woods on an abandoned highway. I am the one not running, not staying, but facing. It's pretty much everything I wanted from YA at that moment in time: a lady soldier embodying making choices for herself, taking action and then having to deal with the consequences. I would happily have stayed in Cassie's head for a full book. Unsurprisingly then I was initially sceptical when Ben's POV kicked in. I'm happy to report that he won me over. In line with my war kids interests my interest in him really kicked in once he started his miliary training and I thought that the book was raising some interesting comparisons about stances in war. What it means to be a soldier in terms of being an armed individual in a combat zone versus what it means to be institutionalised as a soldier. The difference between being consumed by emotion as opposed to being devoid of it. The later stages of the book didn't work quite so well for me and I think that can be attributed to the fact that the focus on character development gave way to a (over)complicated plot. There were undoubtedly some interesting character ideas in the later chapters (I especially liked that Cassie questioned why it was that she instinctively trusted Ben after everything she'd seen up until then) but I think it's telling that most of the passages I marked are in the first half of the book. Ultimately I think my issue was that this book, clearly the first in a series, was trying to do too much. I admire Rick Yancey's ambition but it felt like too much, too soon. It's entirely possible that it's just my war kids myopia talking but I felt that this may have been more satisfying if this first book had simply left the aliens as 'other', if they had remained foreign and unknown. I think I would have preferred a book which was just about Cassie and Ben and their different paths to war and the notions of guilt and trust which accompanied that. The book could have repositioned the climax and built towards Ringer 'going Dorothy' and Cassie beginning to suspect Evan. As it was I felt that the attempts to describe/explain/justify/explore the alien psyche through Evan (and Vosch's monologues) were the weakest points of the novel. I don't hate the idea, actually I'm really interested in exploring the concept of humanity, but it all came too close to the end of the novel so that these huge concepts which are worthy of books of their own felt tacked on. There wasn't enough time to explore the idea of 'alien-ness' fully (demonstrated by the very limited uses of Evan's POV) here - it would perhaps have made more sense to place that all in a sequel and develop that concept more fully. On the strength of The 5th Wave's first half I'll definitely check out the sequel when it's released but I worry that it, like a lot of teen TV shows (I'm looking at you The Vampire Diaries!) may have put too much on the table too soon and will end up relying on over-convoluted plot to pad out the pages. Having been to the cinema very little (for me at least!) in the autumn, I've been three times in the last week! By far the most impressive of the films I've seen so far this year is Short Term 12. It's a small, quiet independent film about a short-term group care home and it's really wonderful. The film is dealing with some really harrowing subject matter but I came away from it feeling surprisingly elated; walking home afterwards I was consumed by a feeling of heart-expanding contentment. It wasn't just a response to the quality of the acting/production either, it was the story itself that left me so full of joy. Running throughout the film was the idea that however terrible things are in life, there are always moments of hope and happiness. Just because one person couldn't love you right doesn't mean that no-one ever will; just because your past has been full of pain and grief doesn't mean that your future will be. The characters' faith in that concept wavers throughout the film and it's that conflict which provides the plot but the despair is never absolute. For all that the film is rooted in abuse narratives, at its heart are moments of kindness and love, some fleeting, others more consistent. Always both surprising and completely natural. The film knows that it's impossible to cling to such happiness in the face of true adversity but never doubts for a second that respite is on the way; hope is never unfounded. Two of my favourite film critics Film Crit Hulk and Alyssa Rosenburg each reviewed the film with far more eloquence than I can muster. I think FCH put it best however: "IT'S A FILM THAT IS AS EXPANSIVE AS THE HUMAN HEART." 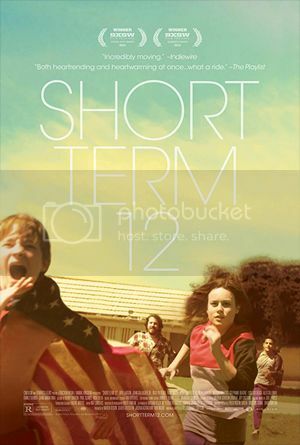 It's less than three weeks in to the new year but I'd be very surprised if I see anything else in 2014 that moved and delighted me to the same extent that Short Term 12 did. It's nearly the middle of January so it seems right that I should explain my new year's resolution: to become more discerning about the ways I respond to popular culture. 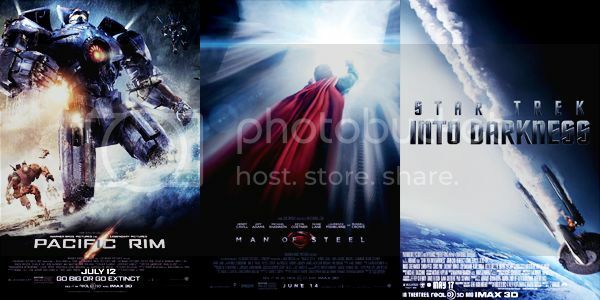 This all came about when a friend showed me Film Crit Hulk's 'review' of Man of Steel. It's a pretty long piece (dissertation length in fact!) but I highly recommend it - it deconstructs the failings of MoS in an intelligent and insightful way and has some really compelling things to say about the art of storytelling. Of particular note are the introductions to the piece (yes, there are 4 of them) which discuss the nature of film criticism and why it is that people react so differently to movies. Reading Film Crit Hulk's piece made me reflect upon how I react to popular culture, in particular film and literature, and it made me realise how problematic my approach has been. [...]WE ASSUME THAT JUST BECAUSE WE KNOW THE END RESULT OF HOW A MEDIA EXPERIENCE AFFECTS US, WE THEREFORE UNDERSTAND HOW IT WORKED ON US. AND IT GIVES RISE TO ONGOING HABITS OF OPINION THAT MAY BE TOTALLY JUSTIFIED ON AN EMOTIONAL LEVEL, BUT THEY ARE NOT "RIGHT" IN THE WAY THEY ARE DIAGNOSING WHAT IS GOOD AND BAD. FOR INSTANCE, SOMEONE CAN DISLIKE SOPHIE'S CHOICE BECAUSE IT MADE THEM SAD, BUT THAT DOES NOT VALIDATE THEIR OPINION THAT IT IS "A BAD MOVIE." IT DEPENDS ON A CRUCIAL UNDERSTANDING OF FUNCTION, NOT MERE EFFECT. AGAIN, THE THING ABOUT TANGIBLE DETAILS IS THAT WE ALL HAVE OUR RELATIVE CAPACITIES TO PERCEIVE BEYOND THEM OR FALL VICTIM TO THEM. FOR INSTANCE, TWO DIFFERENT PEOPLE MAY WATCH NO COUNTRY FOR OLD MEN AND BOTH LIKE IT, BUT ONE WILL JUSTIFY IT WITH SOMETHING SIMPLE LIKE "It was awesome they had the gunfight in the hotel!" WHEREAS THE OTHER COULD HAVE MORE THEMATIC, NUANCED LEANINGS AND SAY: "The ending is just a perfect encapsulation of how one essentially 'retires' from the world of material pursuits when they've seen the cost of those pursuits and the cavernous loss that it creates! The constancy of death is haunting!" BOTH CAME TO THE SAME EVALUATION OF "GOOD" THROUGH RADICALLY DIFFERENT MEANS. THE SAME WOULD BE TRUE FOR PEOPLE WHO DIDN'T LIKE THE MOVIE. ONE PERSON CAN JUSTIFY THEIR DISLIKE BY SAYING "I thought the ending was stupid! I didn't get it! I wish we saw him get killed!" WHEREAS SOMEONE ELSE CAN SAY "I have a long-winded explanation for how the approach to the ending does not satisfy me on a cathartic level, even though that's totally the point of this movie and it builds to that message beautifully!" [...] THE POINT IS THAT WE COULD JUST CHALK THESE DIFFERENCES IN OPINION OVER THE MOVIE UP TO A MATTER OF DRUTHERS, BUT WHILE EVERYONE IS CERTAINLY ENTITLED TO THEIR OPINION THAT DOES NOT MEAN THAT EVERYONE IS ENTITLED TO THEIR OPINION BEING RIGHT. THAT'S SIMPLY NOT WHAT SUBJECTIVITY IS ABOUT, YET WE MAKE THIS MISTAKE ALL THE TIME. JUST BECAUSE OPINIONS AREN'T FACTS DOES NOT MEAN THAT SOME OPINIONS AREN'T MORE COHERENT, HELPFUL AND PRODUCTIVE THAN OTHERS. AND THE OBVIOUS DIFFERENCE BETWEEN "The gun fight is awesome!" AND THE "perfect encapsulation of..." IS THE QUALITY OF INSIGHT. IT'S THE ABILITY TO ENGAGE THE TEXT FOR ITS EXPRESSED PURPOSE, AND THEN THEIR RESPECTIVE ABILITIES TO PROVIDE AN EDUCATIONAL PROCESS TO THE READER, FAR BEYOND THE LAME CONCLUSION OF BAD/GOOD WITHIN THE OPINION ITSELF. I can make no claim to be an expert in film or literature - I studied literature at school and never studied film. I like to think of myself as an observant reader/viewer and I'm well-educated but I'm not a 'trained' critic or 'story diagnostician'. In terms of my own engagement with pop culture therefore, this passage (from Introduction #4) is interesting to me less in terms of the amateur/critic debate but in terms of emotional/rational responses to stories. 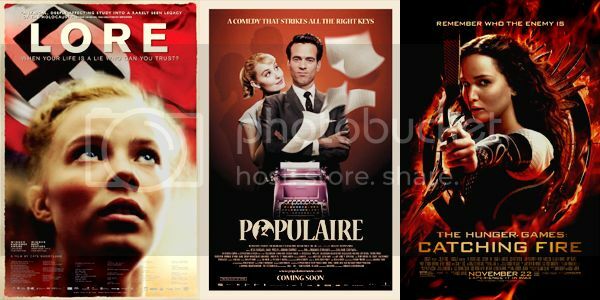 Looking back over my blog posts from the last year I realised that my reviews are a confused and messy combination of emotional/rational responses: my 'reviews' confused how I felt about books/movies with what I thought about how well they worked. I liked Man of Steel enough to see it more than once at the cinema but revisiting that review it's clear that I attributed my enjoyment of that film to it's aesthetics - Henry Cavill's face (and other body parts), the cinematography, the music etc. My review gave very little consideration to aspects of narrative or character arc or to whether the film actually told me anything. Having emotional responses to the stories we consume is natural (media has completely failed if we feel nothing but ambivalent) and I am very prone to emotional transference - I cry at everything to the extent that it is not uncommon for me to have cried at least once during the trailers before a movie! Moreover, I'm very wary of people who try to deny audiences their right to instinctive emotional reactions to pop culture. For example, I found the reaction of authors and commentators to the backlash against Veronica Roth's Allegiant deeply troubling. That authors such as John Green, who hold themselves up as champions of young readers, dismissed readers' reactions to the book outright and criticised them for not reading 'generously' was deeply condescending and problematic. The notion that the only valid responses are those accompanied by rational thought and extensive analysis is just wrong. These readers were simply articulating their gut reaction - maybe upon reflection they'd be less vehement in their criticism but their dissatisfaction and disappointment in that moment were perfectly valid. As FCH explains, emotional responses are valid and important BUT it's important to recognise that we're consuming media on that level of transference and projection. It's one thing to express you emotional response but another thing entirely to be able to explain why a film did or did not succeed in tell a coherent and meaningful story. I too was deeply disappointed with Allegiant and at some point in 2014 I'd like to reread it with a critical eye and analyse whether or not it is a failure and if so why. In the meantime I need to be aware that my 'review' of the book (as with so many of my so-called reviews) represents not a critical analysis but an account of my emotional response to it. This isn't just a 'problem' with media I don't like. In the summer I read a couple of books that I really loved and when it came to reviewing The Dream Thieves I really struggled to review it without descending in to exclamation points and capslock. I don't possibly have the time to analyse and critique every book I read but I'm no longer content to 'accept' my enjoyment of things that I like so passively. I've got to stop thinking that my 'academic' and my 'fangirl' brains are two separate entities.It would be nice to have a more interesting response to, 'How did you find it?' than 'Oh, yes, it was good. I liked it a lot'. SURE, MOVIES ARE THESE GRAND ARTISTIC THINGS THAT WE ALL HAVE EMOTIONAL REACTIONS TO, BUT THERE REALLY ARE THINGS LIKE CRAFT, COHESION, PURPOSE AND THE EFFECT ON THE AUDIENCE, WHICH THEN MEANS IT'S ABOUT OUR ABILITY TO CONTEXTUALIZE AND EXPLAIN TO THEM THAT MATTERS, NOT THE SHOUTS OF "This is what I thought, dammit!!!" SERIOUSLY, JUST BECAUSE WE CAN'T COME TO DEFINITIVE CONCLUSIVE STATEMENTS WITH ART DOESN'T MEAN WE CAN'T DO OUR DAMNEDEST TO ESTABLISH A FIRMER GRIP ON THE NOT-SO-TANGIBLE DETAILS THAT HIDE BENEATH THE SURFACE AND UNVEIL THE REAL ENGINEERING OF MOVIES. In light of all this reflection therefore my new year's resolution is to be more self-critical in my reaction to pop culture. I want to spend more time interrogating my feelings towards the media I consume. This doesn't necessarily mean writing academic-style essays on everything I watch and read but it does mean becoming more careful in how I talk about literature and film and being more discerning in terms of articulating how I feel as opposed to what I think. It's not that this is an entirely new concept to me - I've spent a lot of time (too much time one might say) dissecting The Hunger Games series trying to work out why Mockingjay is such a problem - but I'd like to become more consistent in interrogating what I consume. This will of course mean that there will be some changes on the blog - I'll probably be posting reviews less frequently and I'll probably only post about the things which really make an impact. I'd also like to spend more time thinking about the nature of pop culture engagement and hopefully some of that will make its way on to the blog. Finally, I think I'll probably move away from using a numerical rating system and instead simply judge things on specific criteria. On there own these changes look quite small but I hope they'll make the blog far more interesting! I started this blog because I needed a place to talk, a space in which I could unload some of my thoughts. Having found my voice (to some extent anyway) it's time I start to question that a little. It's exciting and I hope that in the next year you find a thing or two here that resonates with you too. Overall, it's been a very good reading year - I completed (exceeded in fact) my 50 books in 2013 challenge and have read far more fiction this year than I have done in any other year since I've been keeping track of my book consumption. Not everything I read was wonderful, looking back through my lists there is quite a lot of filler and plenty of things I have no interest in re-visiting. By far the biggest disappointment of the year was Veronica Roth's Allegiant - I was really sad to see a series that I had really loved end so poorly (you can read me review here). In line with one of my new year's resolutions (which I'll blog about later this week) I think I'll probably force myself to reread Allegiant in order to better rationalise/understand why it left me so unsatisfied. By far my favourite book of the year was Carol Rifka Brunt's Tell the Wolves I'm Home (review). I loved the book when I read it back in February and it's been playing on my mind ever since then. I was deeply moved by all this book had to say about childhood and the unique agonies of mourning, growing up and navigating family relationships. It's definitely the book I've recommended the most this year and I expect that it will continue to be for some time. For all that Allegiant was extremely disappointing, there were plenty of other gems to be found in YA literature this year. Worthy of special mentions are Katie Coyle's whipsmart Vivian Versus the Apocalypse (review) and Maggie Stiefvater's The Dream Thieves (review) which made my heart ache in the most wonderful way! I hope that you all had a good reading year and that 2014 brings us all the excellent literature we deserve! I hope that the next year is full of deeply moving character stories and romping great high-concept novels. May all the sequels and final installments to series published this year come from the Deathly Hallows school of satisfying conclusions, rather than from the Mockingjay school of squandered potential! In part 2 of my 'faves of 2013' posts I thought I'd talk a bit about my favourite movies of the year. Most of the awards bait comes out in the next few weeks and therefore isn't on this list - I posted about the ones I'm most interested in over the summer, you can see that here - but I saw plenty of great movies this year. According to my 2013 list I saw 27 movies at the cinema this year (not including multiple viewings - Star Trek x2, F&F6 x2Man of Steel x3, Catching Fire x3), by my maths that means I've spent around £160 on cinema tickets in 2013! In my defence a drug habit would be much more expensive! Do these match up with your favourites of the year? If not, what would you add? It's that time of year again when everyone tries to compile lists of the best and worst of the last 12 months. I'm pretty partial to lists and it's always interesting to see which pop culture artefacts have most influenced the people I follow around the interwebs. As you may have gathered from my book and movie review posts over the last year I'm not always very good at differentiating between the things that I like and things that are good. What I've come to realise though is that I don't really care! Life's too short to spend it apologising for things that make you happy. For the next few weeks then I'll be posting about my favourite things in 2013. Some of them are technically good and possess a certain amount of cultural merit; others just bring me joy and are therefore equally deserving of a place on the list! I'm going to start with music today and then work through books, movies and miscellany in the run up to new year. Most of the lists will be 'top 9s' because 9 makes for neater graphics than 10! Don't you feel better already?! I tend to be quite up-to-date with films and books but I'm not always so on-the-ball with music (I think I'm overwhelmed but just how much of it there is) and so one of my favourite things about December is seeing what friends and commentators I admire consider to be the best albums of the year; I always end up buying wayyyyy more music in December than any other time of year! Each month this year I've posted a list of my favourite (upbeat/pop) tracks in my monthly roundup and you can find all of those playlists over at 8tracks. 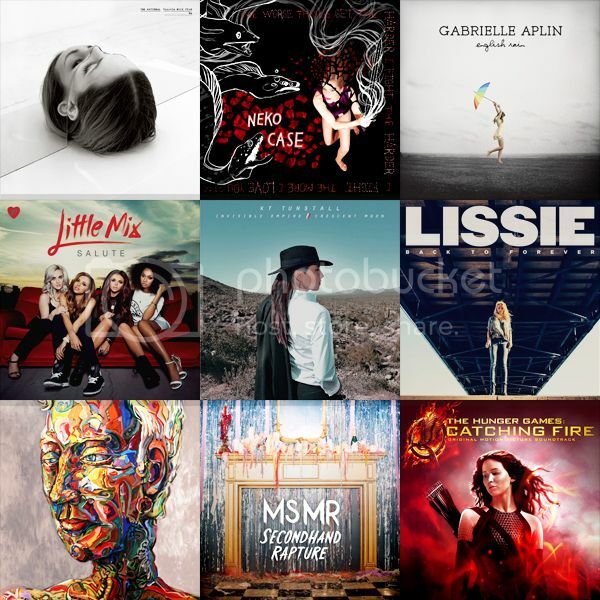 This year has clearly been very good for female artists and pop music! So! What do you think? Would any of these artists make it on to your favourites lists? Anything you're tempted to try out? This is a real gem! It's the story of three teenage boys who decide to run away from home for the summer and build themselves a house in a nearby forest. It was only shown in a handful of cinemas in the UK but thanks to lots of very positive reviews it was very quickly released on DVD. 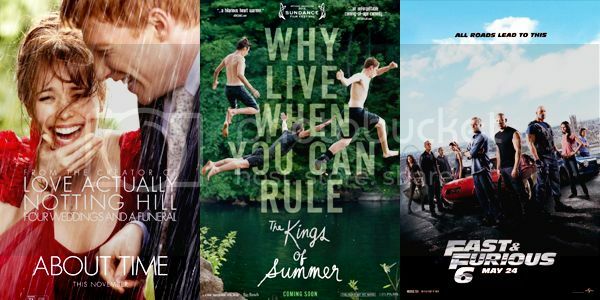 The Kings of Summer is charming and laugh out loud funny. The cast is great - the adults (including Nick Offerman and Megan Mullally) are particularly nuts and the two leads are really well cast. The scenery and cinematography are also lovely. There's a montage set to 'Youth' by MGMT which is an especially nice sequence. Most importantly, the movie really nails the tone, making a coming of age story that's both escapist and heartfelt. It doesn't shy away from the self-centeredness of adolescence but it's very generous in its portrayal of late-teenagedom, also capturing the characters' insecurities and vulnerability. For all the masturbation jokes, TKoS has a huge thumping heart. 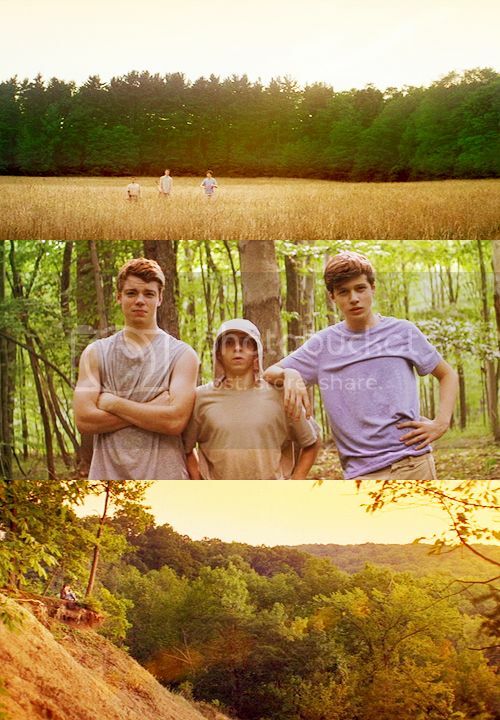 Undoubtedly one of my favourite films of the year, I can't recommend The Kings of Summer highly enough. It would make for great double feature with Wes Anderson's Moonrise Kingdom.